Child development scholars must spend 120 hours learning the fundamentals of early childhood education as well as 480 hours working with kids. On two mornings each week when Child Development II students walk through the doors of the classrooms at Educare DC, they are greeted with smiles, waves, and hugs from children they have been getting to know well. IDEA scholars who have already completed the 120 class hours in Child Development I are interning at Educare DC, working toward 480 hours of hands-on experience over the course of two years. 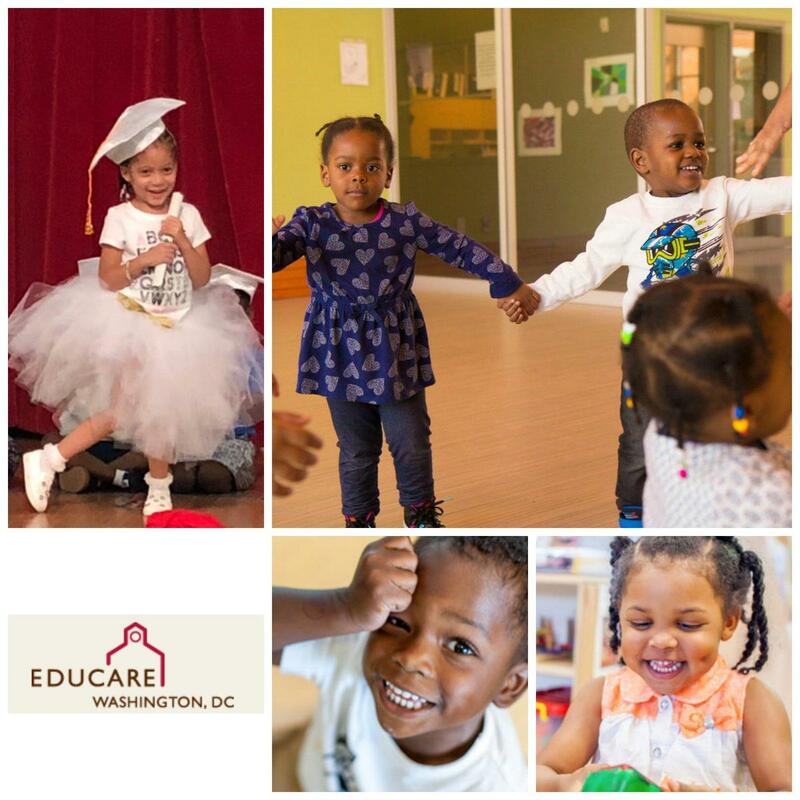 The four advanced scholars previously interned at Educare DC last summer and were excited to return this semester. By the time they graduate from IDEA, these scholars will have earned their Child Development Associate credential, which will qualify them for positions at local day care centers or preschools or enable them to start their own home-based child care centers. If students have not completed their required internship hours, they can do so over the summer and earn their CDA credential at the end of the summer. Under the guidance of Education Program Specialist Rhonda McLaughlin of the Office of the State Superintendent of Education’s Division of Early Learning, many more IDEA scholars are beginning the path to CDA by taking Child Development I. McLaughlin currently teaches three classes of scholars who are focused on classwork and discussions about curriculum, safety, nutrition, and other aspects of early childhood education. The First Step CDA credentialing program is valuable for students who are pursuing a career in early childhood education or in related fields. “One of my students wants to open up her own home facility, one wants to work in a pediatric clinic, and the other two want to work with children in some capacity,” McLaughlin said. CDA students can focus on infants and toddlers or preschoolers. At Educare, IDEA students serve as teaching assistants, working closely with classroom teacher mentors. Every two weeks students complete an assignment based on one of the six CDA standards and present it to their mentor teacher, who evaluates it and provides feedback. One IDEA graduate is already working as an assistant at Educare DC after taking CDA classes. McLaughlin hopes more of her students will follow in his footsteps.